TALLAHASSEE, Fla. - More than 20 managed-care organizations are seeking state Medicaid contracts that could be worth up to $90 billion over a five-year period. A review of state records shows that a total of 21 managed-care organizations are seeking to be part of Florida's Medicaid program, which provides health coverage for the poor. Southeast Florida, specifically Broward, Miami-Dade and Monroe counties, attracted the most interest, with 17 managed-care organizations submitting bids to the state Agency for Health Care Administration by a Nov. 1 deadline. Conversely, a largely rural area of North Florida drew the least amount of interest from managed care plans, with 10 responding to the state's invitation to negotiate. Agency for Health Care Administration officials did not respond to a request for comment on the number of health plans seeking the contracts. Trying to hold down costs and improve the quality of care, the Legislature in 2011 passed a sweeping rewrite of the state's Medicaid program, requiring nearly all beneficiaries, from the cradle to the grave, to enroll in managed-care plans. The state issued the latest invitation to negotiate, the second under the Medicaid managed-care program, this summer and expects to announce the winning bids in April 2018. It will transition from the current health plans under contract to new plans at the end of 2018, according to state documents. Currently, 11 managed-care organizations participate in the Medicaid program. All of those plans submitted bids for the second invitation to negotiate, commonly known as an ITN. Amerigroup, which is part of the Anthem group of health plans, responded to the ITN but not under that moniker. Company officials said they responded to the ITN under the Simply Healthcare brand and, if chosen, will participate in the program under that name, not Amerigroup. 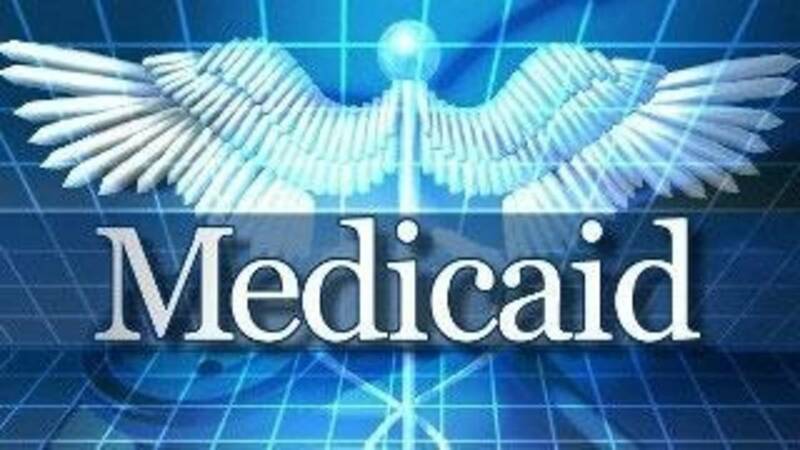 The state has more than 4 million Medicaid beneficiaries, and 85 percent of them are enrolled in the state's managed-care program, according to Medicaid Deputy Secretary Beth Kidder. More than 3.1 million are enrolled in what's considered the “managed medical assistance” portion of the system, and another 98,420 Medicaid beneficiaries -- including many seniors -- are enrolled in the “long term care” portion. Florida's Medicaid program is the fourth largest in the nation in terms of number of people. Expenditures in the program for fiscal year 2017-2018 are nearly $27 billion, according to Kidder. For contracting purposes, the state is divided into 11 regions. State law establishes a minimum and maximum number of plans that can operate in each of the 11 regions. Regions 1 and 2, which encompass the western Panhandle, must have at least two managed-care plans. Miami-Dade County, on the other hand, is authorized to have a minimum of five managed-care plans and as many as 10. Moreover, the law makes clear that if a “provider sponsored network” is competing and submits a responsive bid, the state, must choose it as one of the plans. PSNs are provider owned and operated and don't require an HMO license from the Florida Office of Insurance Regulation. Of the health-care organizations that submitted responses to the ITN, 10 want to participate statewide. The Northwest part of the state has traditionally struggled to attract managed-care plans. But 12 plans responded to the ITN in Region 1, which includes the far western Panhandle, and 12 plans responded in Region 2, which includes other parts of the Panhandle and the Big Bend area.